High vaulted ceilings are a challenge to acoustical engineers looking to control, direct and amplify sounds to create a dynamic listening experience. LMN Architects approached the design for the new Voxman Music Building at the University of Iowa with an acute understanding of the construction limitations. 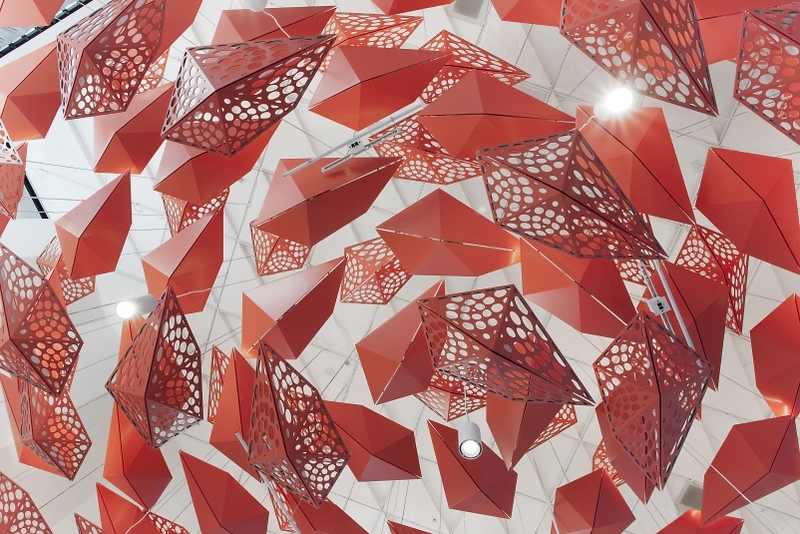 They needed lightweight, yet rigid material that could be fabricated and hung in the open space in order to provide the right acoustics, integrate in the lighting and fire safety systems, and provide an inspiring experience true to their bold vision.